The Reaching Home Campaign was launched in 2004 with the goal of ending chronic homelessness in Connecticut. 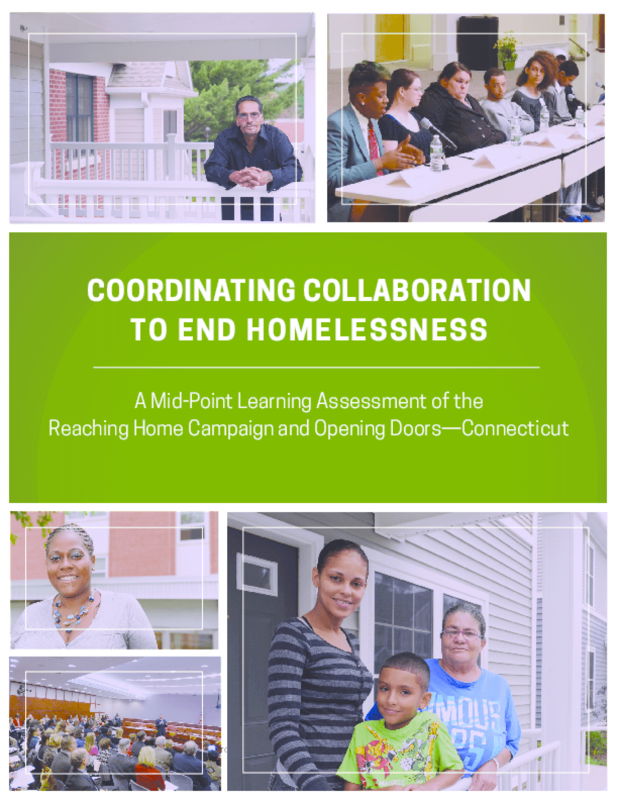 Through the adoption of the federal Opening Doors framework in 2011, the Reaching Home Campaign expanded its focus to build the political and civic will to prevent and end all forms of homelessness in Connecticut. The report identifies some key elements that have helped us sustain the Campaign over the arc of many years: the Campaign has energized and motivated a diverse group of stakeholders to work together to respond to a significant social problem, established strong internal structures to direct this energy, and kept its focus on advancing change in a few distinct strategy areas. As the report notes, three key actions that have made the Campaign a success so far are a) finding a clear shared purpose and defining clear goals to guide the Campaign, b) nurturing strong relationships with state officials, and 3) speaking with one voice in advocating for solutions. The report also highlighted areas the Campaign can build on, including further refining its collaborative structure, amplifying its communications, and expanding engagement of staff working at the front lines of service delivery and people who have experienced homelessness. Copyright 2015 Building Movement Project.